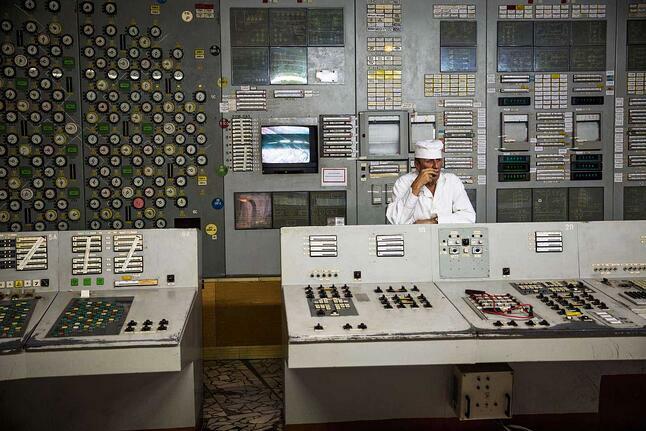 What Will SCADA Screens of the 2020's Look Like? 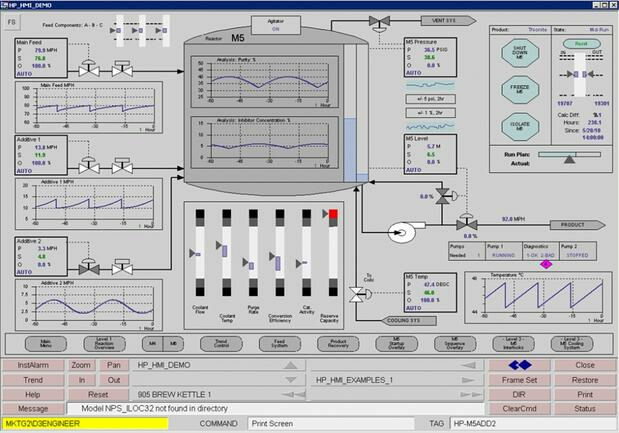 SCADA systems have come a long, long way since their inception, especially on the UI design side of things. In an age where smartphone users are accustomed to the clean, crisp look of Apple and Google products, the importance of user experience and its impact on profitability is even more apparent. Given the huge advancements in UI technology, let’s take a trip down memory lane to see just how far we’ve come. 1980’s "Mimic Displays" – Gauges and Switches and Buttons, Oh My! Check out all those lights, gauges, buttons, and switches from the 1970’s and 1980’s. Very vintage, very old school – but not so readable. All hail our predecessors who had the hawk eyes and know-how to spot a mistake in this massive wall of data. 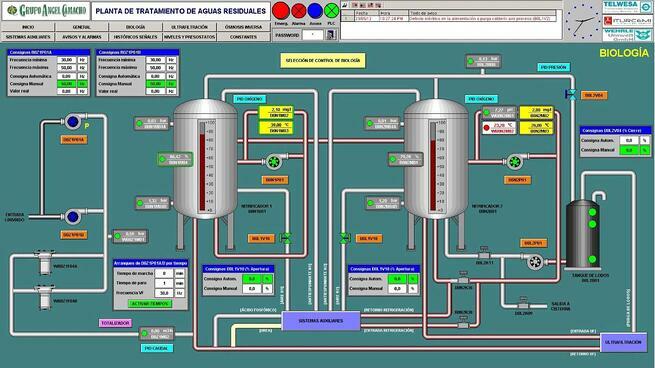 The SCADA GUIs of the 1990’s brought us into the amazing Technicolor world of graphical representations. Probably many of you grew up with this first generation of screens, which replaced physical push buttons and imitated the design of the mimic displays. Or maybe you worked with the upgraded 3D versions from the early 2000’s? Remember all the fancy graphics and photo-realistic system representations that vendors would demo? Really nice looking, but sometimes not very practical for actually operating the plant. Inspired by the design concepts of modern-day aircraft cockpits, the High Performance HMI paradigm was one of the first industry-wide efforts at bringing user-based design principles to the industrial controls world. The goal was to present the most relevant information as quickly as possible with flat, straightforward presentations of data. Fast-forward one more decade, and now what? In this age of visual media, people are used to consuming data through image-rich articles, attention-grabbing ads, and YouTube videos. Your employees are more accustomed to using smartphones and laptops, not cockpits. 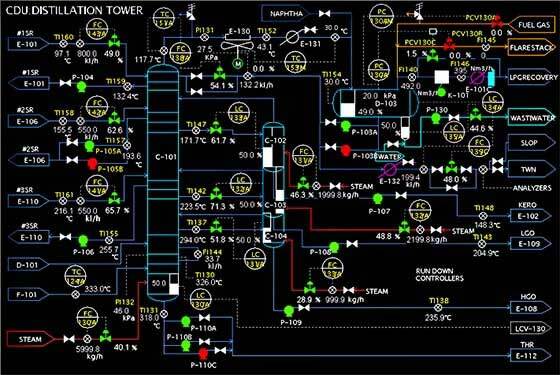 How can we harness the power of modern-day UI design with SCADA software, keeping people invested and focused on the most important tasks while giving them the tools to facilitate new ideas for their company? Read the full whitepaper “7 Essential SCADA Design Components to Maximize Plant Productivity” to find out how enhancing design can benefit operators and increase profits.